On Wednesday over 200,000 Egyptians gathered in downtown Cairo to protest against President Hosni Mubarak, along with thousands others in support of the regime. The list of people injured in these protests has grown hundreds of names longer. At least 500 more people were injured during clashes between protesters and police on January 2. One person was reportedly killed. The death toll of the nine-day unrest has risen to 300 people, and more than 8,000 people have been injured. 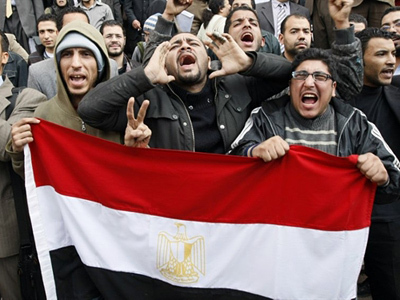 The most brutal clashes were witnessed on Tahrir Square, the main square of Egypt’s capital. Shooting was heard around the area. However, it was not clear who opened fire, Al Jazeera reported. According to journalists, the army might have opened fire in the air to make the clashing sides calm down. Government supporters tore down anti-government banners and engaged in fights that left some injured. 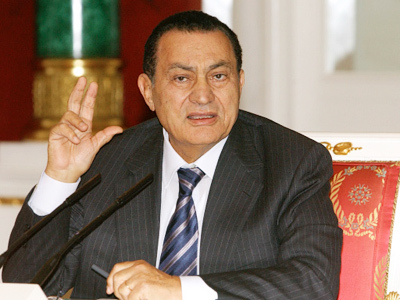 The opposition is urging Egyptians to continue protesting, AP reported, despite Mubarak’s announcement that he would not seek reelection in September. The announcement did not stop the protestors from demanding that Mubarak step down now. According to RT correspondent Nadezhda Kevorkova, who reported from the opposition demonstration in Cairo, protesters were flocking to the city center. Many of them were students, though there were also women, some with children. They had difficulty getting to the square through the walls of supporters of the Mubarak regime. The two sides reportedly threw stones at each other. It was difficult to say which one started the fight. 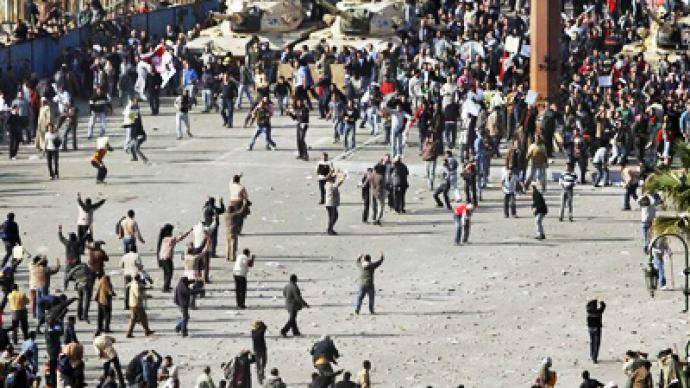 Several thousand supporters of Mubarak, including some riding horses and camels, attacked anti-government protesters. The latter, however, dragged at least six attackers off their horses and badly beat them up with sticks, AFP reported. 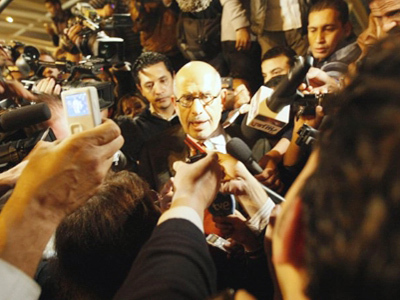 According to RT correspondents in Cairo, the army was nowhere to be seen. It was maintaining a perimeter border, standing firm on the city’s outskirts. 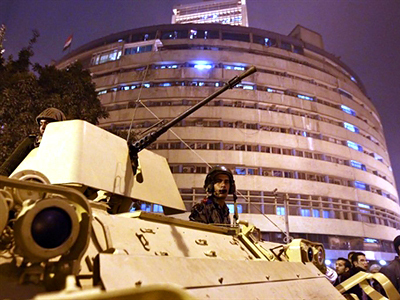 Earlier on Wednesday, the army issued a statement on Egyptian state television calling for the protests to stop. That appeared to be the first word that the military seemingly does not support the demonstrations. “People, at the same time, are still arriving to the square, forcing pro-government supporters back. The two sides continue pelting each other with stones,” RT’s correspondent explained. ­Dahlia Scheindlin, an international political consultant speaking from Tel Aviv, believes the Israeli government is very concerned over the unrest in Egypt and against destabilization as Israel does not have too many friends in the region. “The only thing Israel can do right now is to project that it’s willing to work with whatever government is democratically elected [in Egypt] and not try to close doors right now. But Israel has a lot of fears on its mind, and it is not just some general fear, it is particular things. 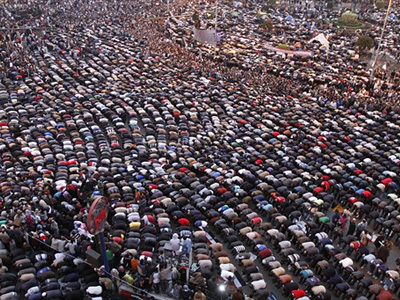 Israel is afraid of Islamic take-over in Egypt. Israel is afraid of destabilization spreading to Palestinian areas. Israel is afraid of a leader who might not be a full partner in dealing with Iran,” Dahlia Scheindlin concludes. 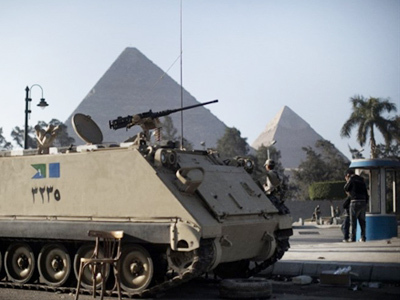 ­“Will that 30-year-old peace we’ve had with Egypt last?” asked pro-Israel advocate Neil Lazarus, summing up Israel’s current mood toward the recent events in Egypt. Lazarus points out that there is a generation in Israel that does not even remember the 1979 handshake between Menachem Begin and Anwar Sadat. Fabrizio Tassinari, head of the Research Unit on Foreign Policy and EU studies at the Danish Institute for International Studies and author of the book “Why Europe Fears Its Neighbors,” believes Europe takes too little interest in the politics of its southern neighbors.